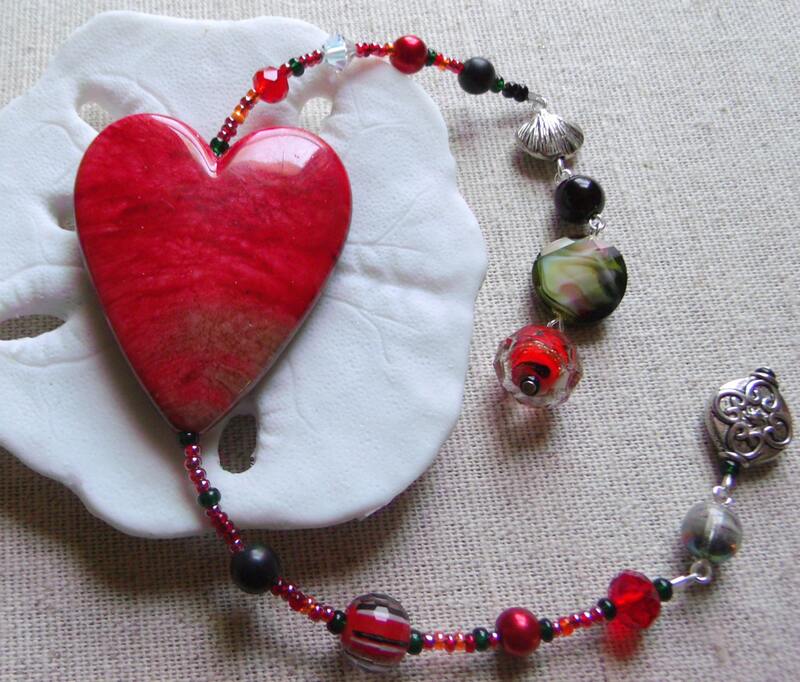 Gorgeous Crimson hearts with green and red crystals to support Mental health . Make someones day by giving them a Heart to show you care. 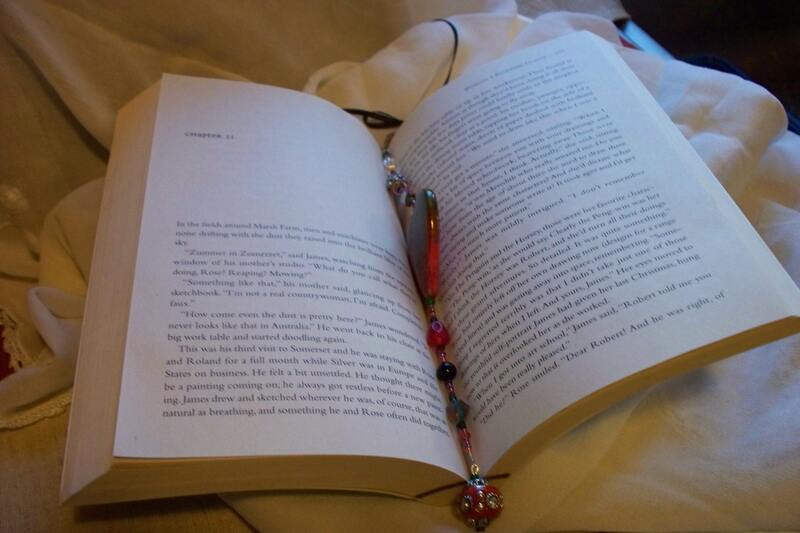 The beaded bookmarks will be a nice add on to a book gift and for readers of all ages. 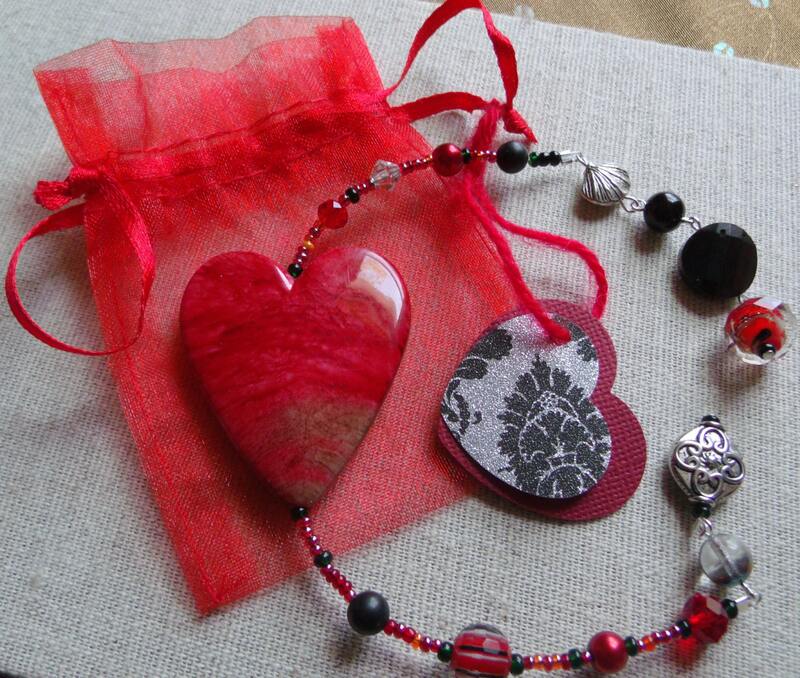 The red acrylic ( but feels like glass ) heart (some are more bright red/some darker )with a variety of black ,green and silver beads and crystals for a timeless look. Each bookmark is unique but you can request different length . Superb crimson gemstone heart bookmark. I had ordered a similar one a few years ago and couldn't bear to stash it in a book. It hangs from the switch on a floor lamp where I can see it all the time. This one may actually go in a book. Excellent craftsmanship, choice of colour combinations, pricing, wrapping and shipping. This vendor is my go to girl for everything I need online. Gorgeous bookmark, safe and speedy shipping. Awesome! This is even more gorgeous in person! I keep coming back to this shop because of the quality of the craftsmanship.